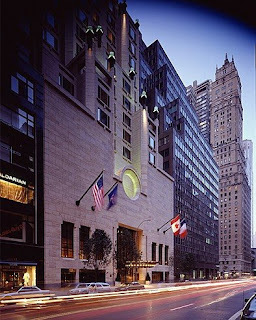 No need to wait in a taxi line or pre-reserve a car service when booking the "Bed & Benz" package at the Four Seasons NY (shown, left). Rates from $935/night include round-trip transportation in a chauffeured Mercedes Benz between the hotel & any of the city's 3 major airports, as well as meet and greet service at the airport location. NB: Book through Elite Travel International and you'll also enjoy full breakfast for 2, a room upgrade if available and a $100 spa credit. To commemorate its 120th anniversary, Aspen's Hotel Jerome introduces a “History Buff” package inclusive of 3 nights in a Deluxe King room, a historic tour of Aspen, 2 complimentary Aspen Crud cocktails at the famed J-Bar (learn its origin and recipe), plus 1889-themed turndown amenities such as Jerome silver dollar souvenir coins, an 1889 photo album of the hotel and “Fun Facts about 1889”. Rates start at $899, based on double occupancy, May 22-Jan 2, 2010. Through June 18, experience the best of Sardinia with Hotel Cala di Volpe's "Spring Escapade" package. Rates of 580E/night include accommodations in a classic double, daily breakfast, choice of lunch or dinner, and use of a rental car throughout your stay. There is a four-night minimum. The deal is offered again come fall, from September 13. For more details, to book or for more value-added packages at luxury hotels, contact us via email: stacy@elitetravelinternational.com; twitter.com/elitetravelgal or phone 310.979.9036.